An old Wiltshire market town with bags of charm and almost 500 listed buildings, Devizes occupied an important position on the coach road between London and Bristol. The old coaching inns are still some of the best places to stay in Devizes if you're looking for charm and character. When canal travel became the main way to transport goods, Devizes was included on the London to Bristol Kennet and Avon Canal, even though it meant that the canal had to rise 72metres over Caen Hill just before Devizes. There are sixteen locks in a straight line rising over the hill and even today it's quite a sight! Devizes has grown up around its 11th Century Norman castle - which held William the Conqueror's eldest son prisoner for 20 years. Take in its collection of ancient churches and 18th Century townhouses which surround the green and the market place. For those keen to learn about the region, a trip to the Wiltshire Museum is a must! The nearby Bowood House is steeped in Georgian beauty and has lovely surrounding gardens to explore. There is still a regular market and retains its market town feel. Devizes still has manufacturing with a working brewery which still makes deliveries using Shire horses. The best places to stay in Devizes offer the perfect base to explore this charming area. The George & Dragon is a fantastically ancient coaching inn with three comfortable rooms over an excellent country restaurant which, unexpectedly, specialises in seafood with daily deliveries from St. Mawes in Cornwall. 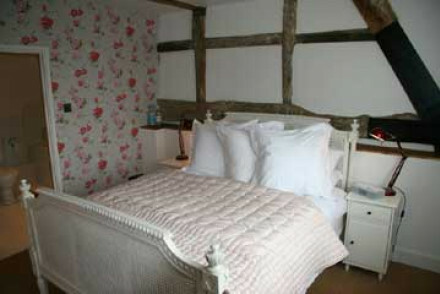 You'll feel at home here, in this 16th Century charmer Rooms start from just £55 per night. Seeking a little added privacy, we recommend looking at what our online partner Booking.com has to offer in Devizes. The best options to fly to for Devizes are Bristol (33 miles) or London Heathrow (66 miles). A car is always useful for exploring the region, so why not check out our car hire partners Rentalcars. The best time to visit Devizes is during the English summer from June to September. Browse through our list of all the best places to stay in Devizes, or contact one of our friendly Gurus for advice. For those looking to widen the net, take a look at all our recommendations in Wiltshire. Three comfortable bedrooms over a good country restaurant, specialising in seafood. This 16th century coaching inn is a good budget option in a fine part of the country. 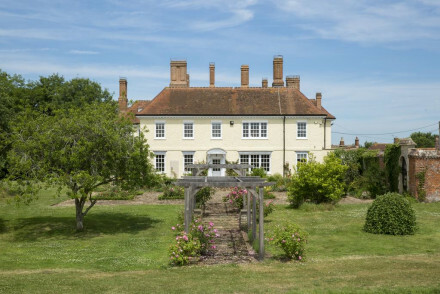 An imposing country house set in beautifully manicured gardens. Following a thorough renovation the Grade II listed property mixes contemporary and traditional styles. From simple double rooms to apartments and suites this is a prefect spot for a romantic or family getaway. Country Escape - An elegant country house surrounded by beautiful landscape. Sights nearby - Visit any one of the nearby National Trust properties including Stourhead, Lacock Abbey, Mompesson House and Bowood House. Great walks - Discover miles of scenic walking trails starting straight from the property.